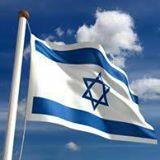 A new opinion poll shows warmth towards Israel is at its highest level since 2010, with 21 per cent saying that they feel warm towards the country. Populus surveyed a nationally representative sample of 2021 GB adults in October 2017 on behalf of BICOM. In addition, support for boycotts has dropped. A tribute to the impressive work that the pro-Israel movement, including ourselves, has been doing in the last few years. The survey recorded the lowest level of support for boycotts since 2014, at 11 per cent. 48 per cent of respondents “do not support boycotts of Israel and find it difficult to understand how others do given everything else that is going on in the world”. Young people have significantly reduced their level of support for boycotts in the last three years. This year, 45 per cent of 18-24s said they opposed singling out Israel for boycotts, in 2015 just 28 per cent opposed boycotts. 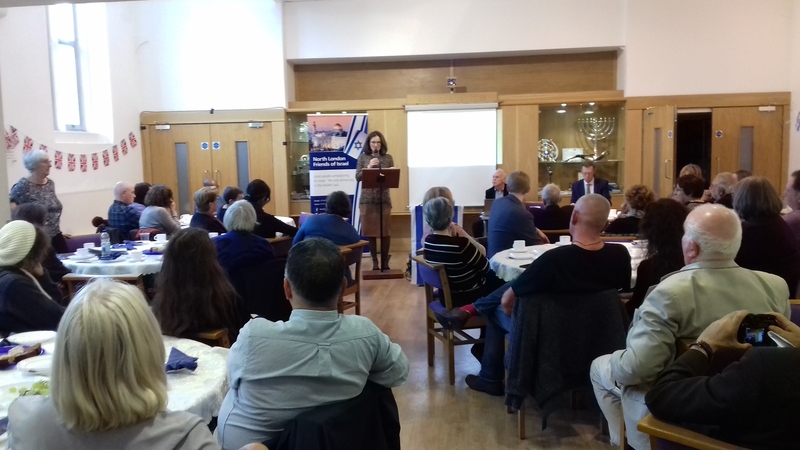 We were delighted to welcome Theresa Villiers, MP for Chipping Barnet, and Jacob Vince, Chief Executive of Christian Friends of Israel, as guest speakers at our event to celebrate the Balfour Declaration on Sunday (22nd October). The event was held at Sha’arei Tsedek North London Reform Synagogue in Whetstone.